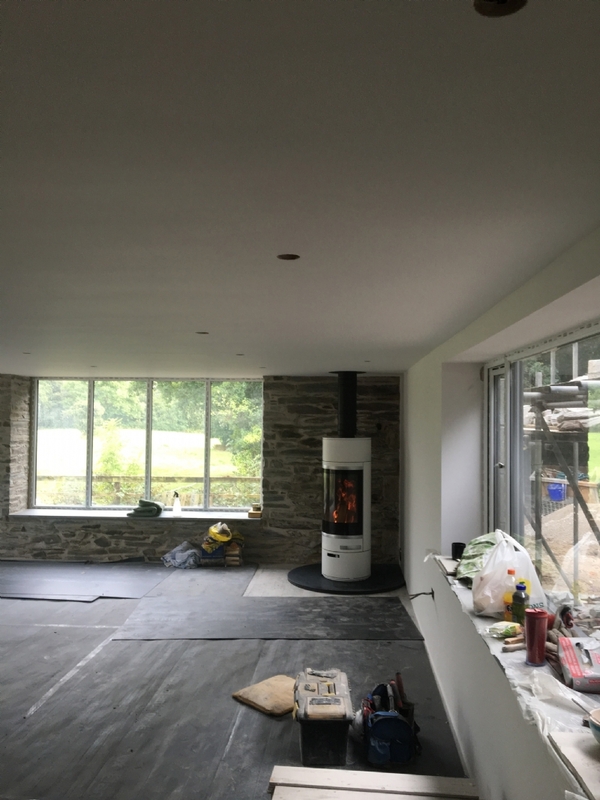 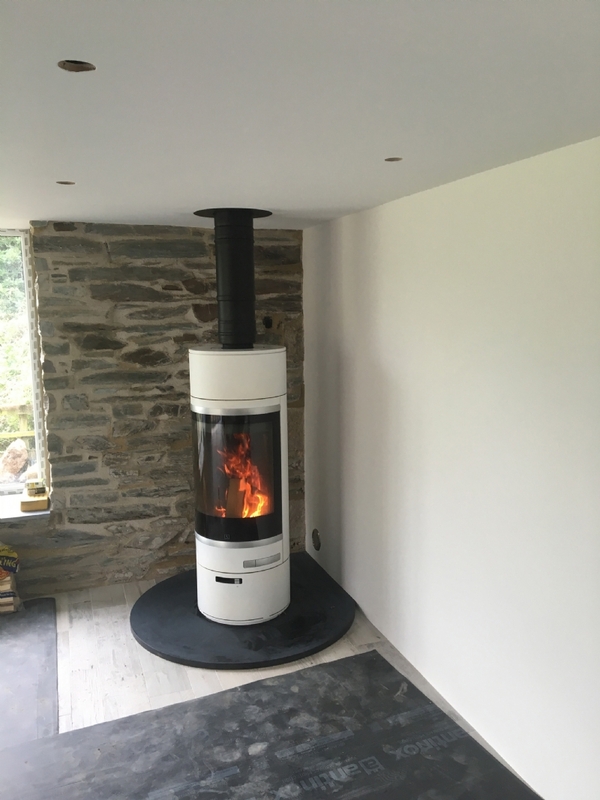 Scan 85 in St Merryn wood burning stove installation from Kernow Fires. 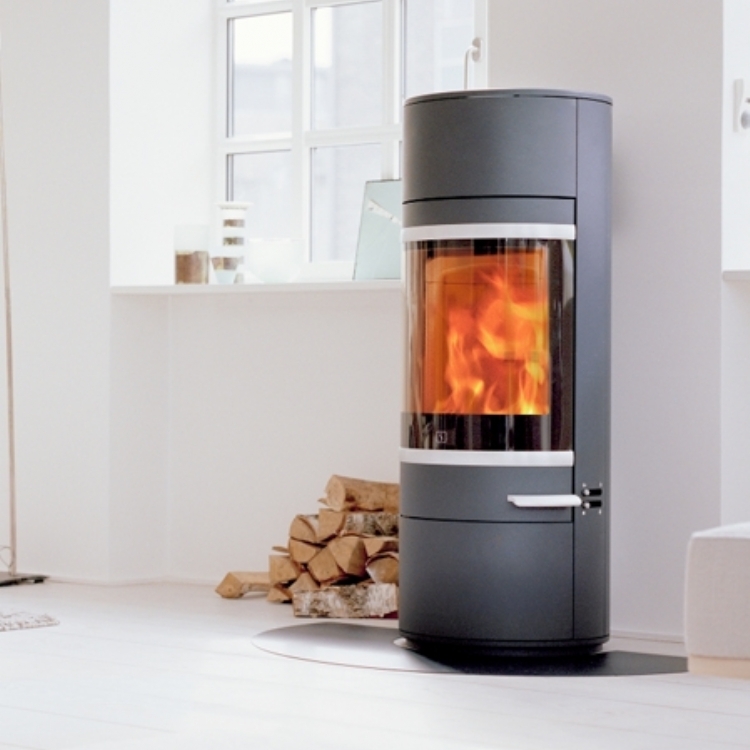 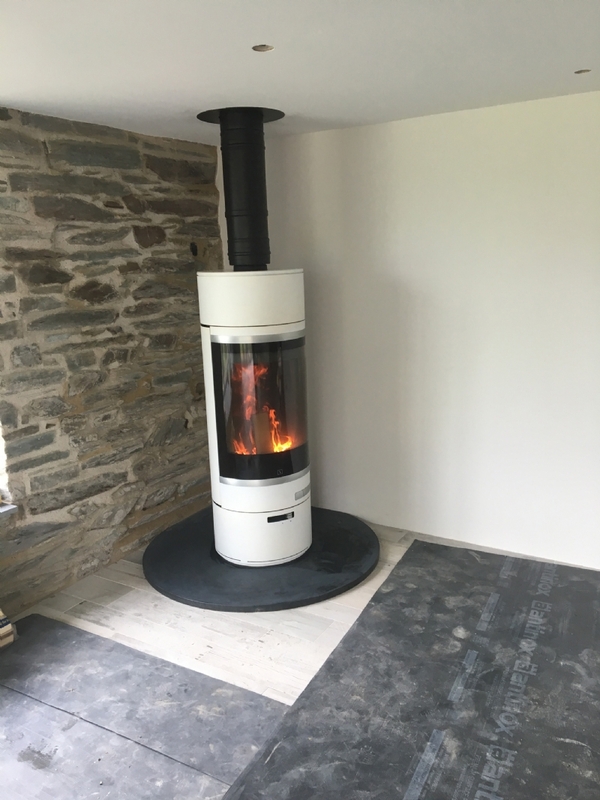 The Scan 85 is a beautiful cylindrical wood burner which puts out between 3-10kW, certainly enough heat to warm this large room. 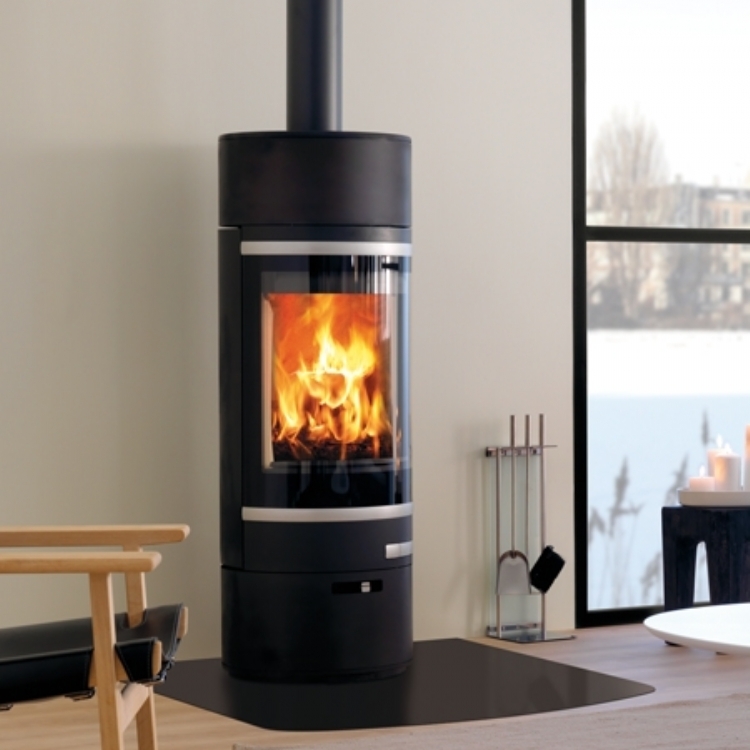 Available in black or white with a variety of options including being able to make it taller.